Feel the excitement of swimming with Green Turtles while being surrounded by millions of Sardines at the same time! 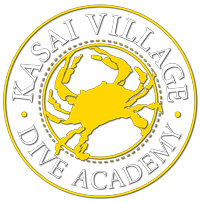 At Kasai Dive Academy we offer first class dive trips, scuba courses, Rebreather training and much more! 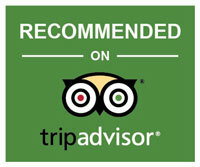 Visit a first class Dive Resort in the Philippines. 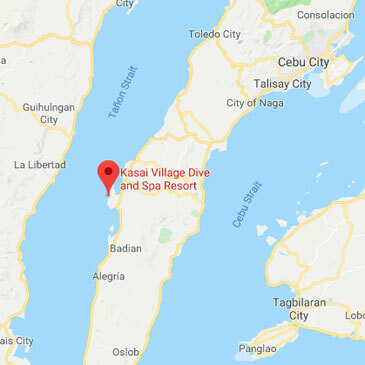 The Kasai Village Dive Resort you can find on the outskirts of Moalboal, Cebu right in front of the stunning coral shoreline. The area hosts only a handful of resorts, of which Kasai Village is in a distinct class of its own. 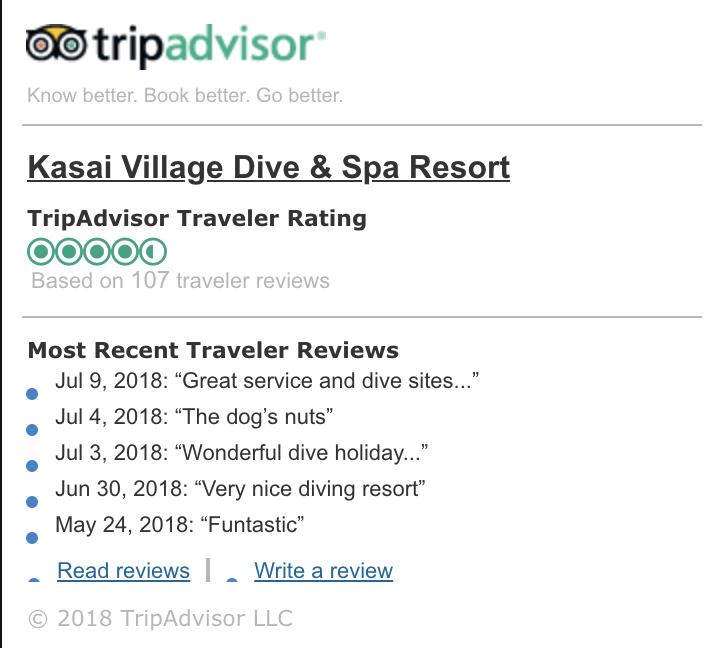 The Kasai Village Dive Resort is the perfect destination for all divers and nature enthusiasts who are searching for a first-class dive retreat away from the overcrowded tourist areas. You will find us just by the sea in beautiful Moalboal, Cebu, Philippines. 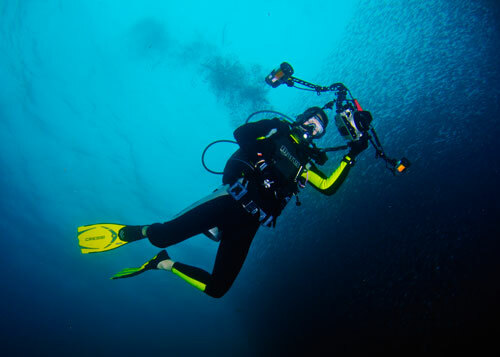 Here you can take advantage of our fully equipped Dive Centre with the capacity for Trimix gas blending, Rebreather diving, Underwater Photography and facilities for photo editing, equipment servicing and storage. We believe in a friendly and luxurious atmosphere, which will give you the chance to get away from your everyday stresses and have a relaxing time in paradise. Enjoy our Sea View Spa. Need a body scrub, manicure or pedicure? At the resort we have a large spa that offers a variety of treatments to make your stay enjoyable and more relaxing. Start your day with a pleasant morning back massage or enjoy a deep tissue massage after a long day, to relax those strained muscles. 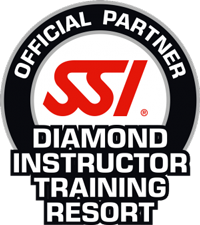 Our fully-trained experienced spa personnel are here and ready to serve you. You deserve it! Enjoy our Sea View Spa. Need a body scrub, manicure or pedicure? At the resort we have a large spa that offers a variety of treatments to make your stay enjoyable and more relaxing. Start your day with a pleasant morning back massage or enjoy a deep tissue massage after a long day of diving to relax those strained muscles. Our fully-trained experienced spa personnel are here and ready to serve you. You deserve it! Our resort restaurant is where you can enjoy a premiere dining experience in a relaxed, yet elegant setting. The location overlooking the Tanon strait makes it a perfect place for having a pleasant meal. The food served here is a blend of Asian cuisines with dishes from all around the world. Many of our high quality ingredients are sourced from Cebu city, but we also use local farmers and fishermen to supply us with fresh, quality ingredients. As a result we can offer you, our customers’, healthy, balanced and tasty dishes. Our resort restaurant is where you can enjoy a premiere dining experience in a relaxed, yet elegant setting. The location overlooking the Tañon strait makes it a perfect place for having a pleasant meal. The food served here is a blend of Asian cuisines with dishes from all around the world. Many of our high quality ingredients are sourced from Cebu city, but we also use local farmers and fishermen to supply us with fresh, quality ingredients. As a result we can offer you, our customers’, healthy, balanced and tasty dishes. At Kasai Village Dive Resort we specialize in taking care of and executing custom-made dive trips for underwater photographers and videographers. Our Dive Centre is equipped with a dedicated photography room for editing, servicing and storage, and our dive boats are specially designed to meet all your diving needs. At Kasai Village Dive Resort we specialise in taking care of and executing custom-made dive trips for underwater photographers and videographers. Our Dive Centre is equipped with a dedicated photography room for editing, servicing and storage, and our dive boats are specially designed to meet all your diving needs.